Time Warner may be vacating this space in the near future, but the two towers will always have the look of an imposing corporate fortress. 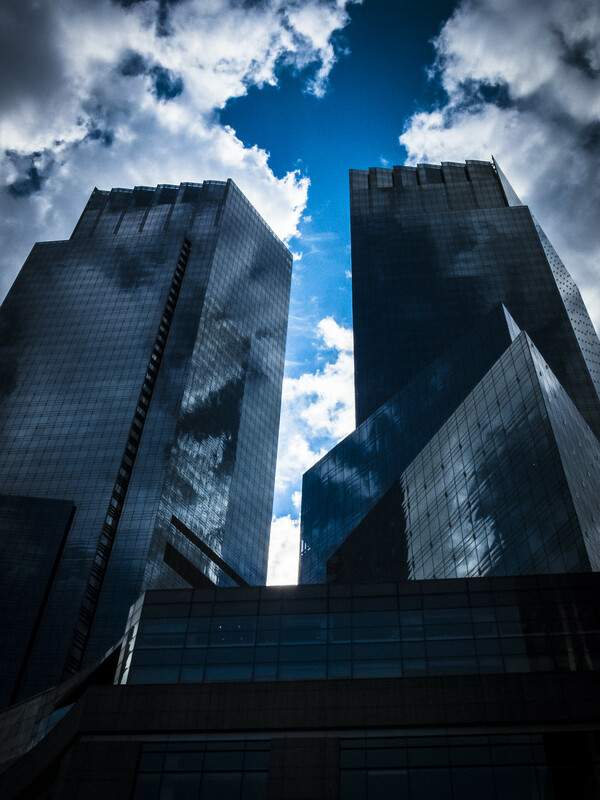 This entry was posted in Photography and tagged blue sky, building, cloudy, Manhattan, nyc, office, outdoor, photography, time warner, tower. Bookmark the permalink.